Samples and calibrators leave residues within the analyzer’s tubing system, even when evacuated. Removal of these residues is essential for keeping the system in proper condition and secures reliable functionality. 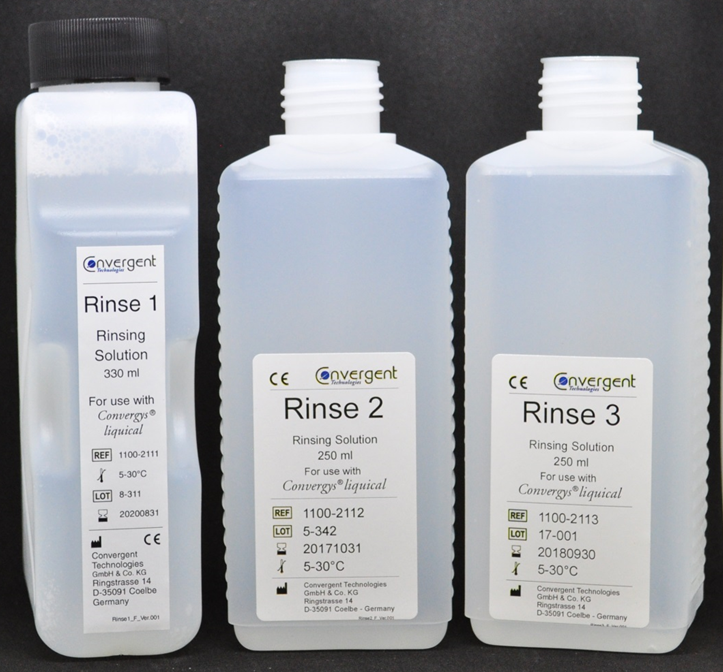 The L-Rinse solutions for Convergys liquical are used for the analyzer’s automatic rinsing of the tubing system. There are three L-Rinse solutions available, each one for a specific configuration of Convergys liquical; please refer to the product brochure for more details. Stored at 18°C to 25°C L-Rinse has a shelf life of 24 months from the date of manufacture.